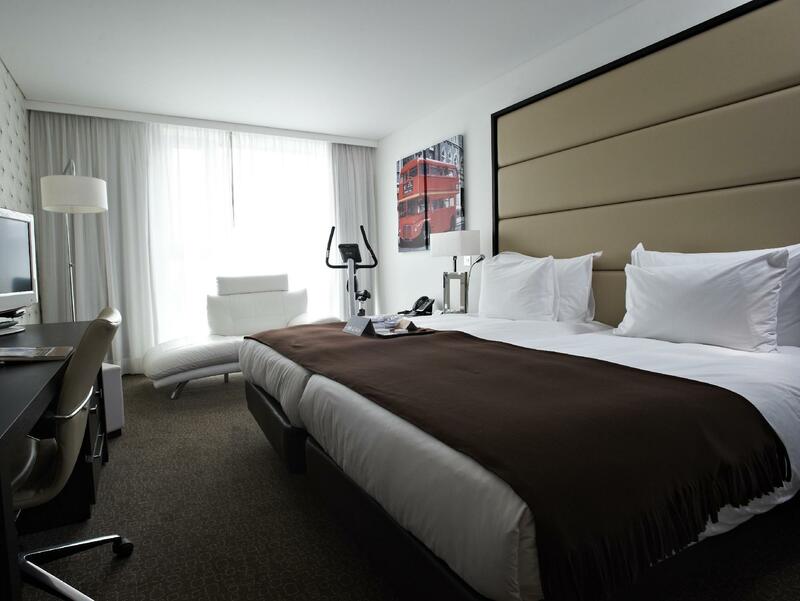 ﻿ Pestana Chelsea Bridge Hotel And Spa London. JIMAT di Agoda.com! Ada soalan mengenai Pestana Chelsea Bridge Hotel And Spa? Jika apa yang anda cari adalah penginapan dengan lokasi menyenangkan di London, cuma perlu lihat Pestana Chelsea Bridge Hotel And Spa. Hanya 0 km dari pusat bandar, lokasi strategik hotel memastikan tetamu boleh ke mana-mana sahaja dengan cepat dan mudah ke tempat-tempat tarikan. Bagi anda yang ingin pergi agak jauh, Stesen Janakuasa Battersea, Galeri Rumah Pam, Royal Hospital Chelsea merupakan beberapa daya tarikan untuk pelawat. Perkhidmatan hotel kelas pertama dan kemudahan yang menentukan pengalaman Pestana Hotels and Resorts menanti anda di Pestana Chelsea Bridge Hotel And Spa. Hotel ini menawarkan pelbagai kemudahan di lokasi untuk memuaskan hati tetamu termasuk yang arif. Semua penginapan bagi tetamu menawarkan kemudahan yang difikirkan dengan teliti bagi memastikan rasa selesa yang sukar ditandingi. Sama ada anda peminat kecergasan atau hanya mencari cara untuk bersantai setelah seharian bekerja, anda akan dilayan oleh kemudahan rekreasi kelas tertinggi seperti pusat kecergasan, sauna, kolam renang tertutup, spa, rumah urut. Temui gabungan yang menarik antara perkhidmatan profesional dan pelbagai kemudahan yang ada di Pestana Chelsea Bridge Hotel And Spa. A few minor things in the room to mention - the kettle and hairdryer weren’t working but this was quickly fixed. The water was very slow to drain down the sink so possibly a problem there. However the room was lovely and very quiet, the staff very pleasant and we really enjoyed our stay there. It was also easy to catch a bus almost directly outside which was v convenient for Sloane Sq nearby. We would definitely stay there again. it was wonderful would definitely check in again on my next visit to london. staff are attentive and hotel is clean and quiet. breakfast was good but it could have been better if they change 2 dishes everyday. stayed for 4 nights and breakfast was always the same, hot choco wasn't hot but warm only. One of my favourite hotels in London at this price range. Parking only costs $20 for 24 hours (weekdays) and $4 per entry (weekends), so this hotel makes a good choice for travellers who are intending to rent a car and drive around. Someone will concern about the location of this Hotel. There is not closed Tube station. But, if you use bus, you can reach attractions and 2 or 3 tube stations. Don’t worry about the location. 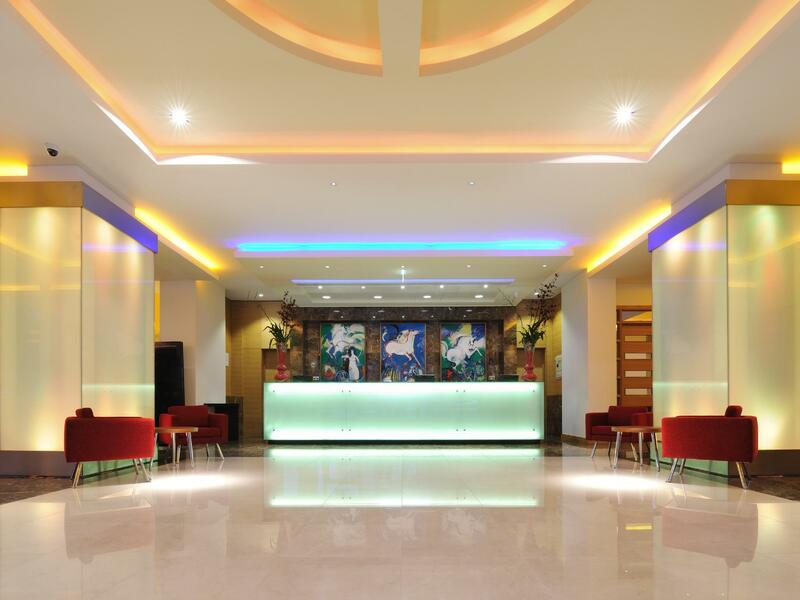 If you select this hotel, you can enjoy staying the huge and comfortable room. However, you cannot use free wifi in there. Only you can use free wifi at public lobby. I think this hotel it the one of best in London. 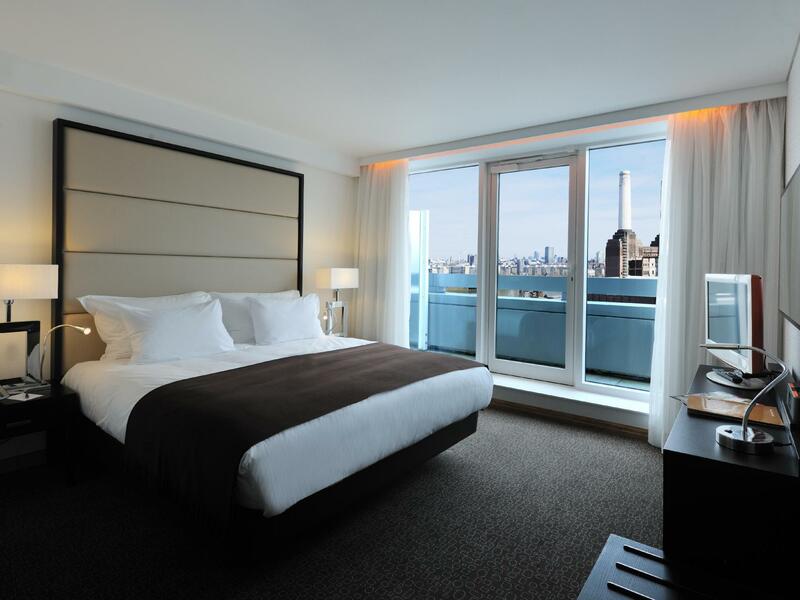 Stylish and modern accommodation near one of londons greatest landmarks- battersea power station. Centrally located and although not directly near any tube stations, an enjoyable walk across the river from Victora via Chelsea, or a short cab ride. The bar was a little expensive, however the food was excellent, particularly breakfast. And all service with a smile! Will definitely be returning. This hotel lacks basic amenities expected of a 4 star stay. They are clearly out of touch with the market. Some of the features missing: A comfortable bed that guests can't feel the springs through Wine glasses (unless paid for through room service) Basic minibar selection Extraction fan in bathroom (substituted with a sign imploring guests to close the door for fear of steam setting off alarms) Iron / ironing board Don't spend more than $100 aud / night or you will be dissatisfied. Wonderful staff at this hotel who made us feel welcome and could not do enough for us. From the check in staff to the housekeeping staff. All had been trained to provide excellent customer service. The beds are comfortable and the rooms are very clean. The air conditioning is super efficient too. This is a very clean and modern high end hotel. Very luxurious sheets, bedding and spacious bathroom. The gym/spa facilities were unavailable due to ongoing renovation, perhaps explaining the reduced room rates. Still, for 160-170 pounds per night, excluding breakfast, I did not find the hotel particularly good value, and left after two days. The staff was very courteous and efficient. 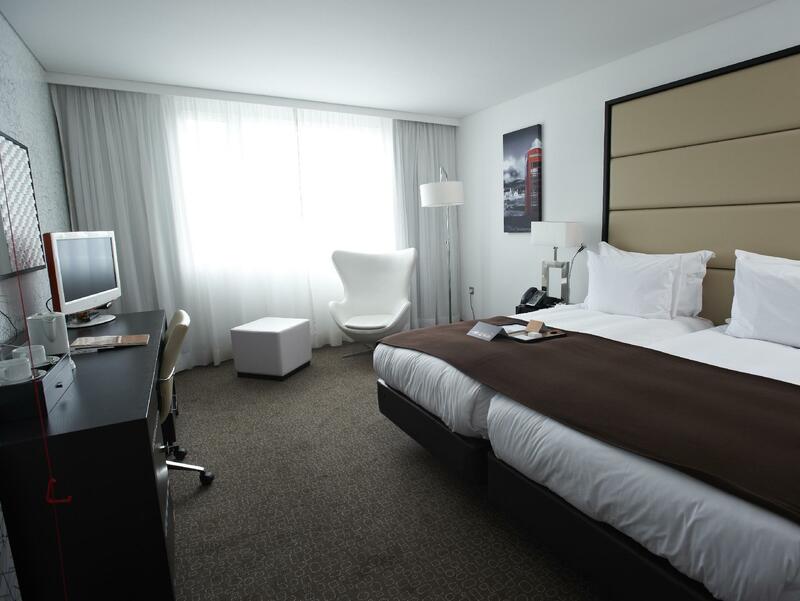 If you need a quality hotel in the nueighborhood where the Pestana is located, then this would not be a bad choice. I was staying in London for 5 nights to see family. It was nice that the hotel wasn’t entirely central because you get the best of both worlds, the quiet and calm and the closeness to all the sights. The hotel was clean, had a lovely spa, a quirky bathroom and was comfortable. The hotel also overlooks the beautiful Battersea Park and as a keen jogger, it was lovely to get out and about there. I liked the hotel and would recommend it if you want the closeness to all the sights of London, but you also don’t want to stay in the middle of it all. Comfortable, very clean and in a good location. Across from Battersea Park and useful bus stops, close to restaurants and a deli. Our room was quiet and spacious. Would recommend and will stay here again. This is a superb hotel just south of the river but still a Chelsea postcode. There is no tube service but the buses into central London are excellent and run for 24 hours. The staff are superb and deliver a great culture to the clients. Fabulous staff and spotlessly clean room. Room was well appointed (we booked a suite), however, we were very disappointed with the view and the size of the balcony, our room overlooked the vast railway track of Clapham Junction and basically a building site beyond. Such a pity that we could not use the swimming pool due to the highly restrictive times for children, especially so as the hotel advertises itself as family friendly. The times were between 11am and 3pm, anyone with children will be out then, as were we. I think between 9am and 5 pm (perhaps with a break for lunch) would be more reasonable and would still give adults ample time to use the pool alone. It would put me off staying again, hence only 3 * value for money. Breakfasts were passable, not a great deal for vegetarians (Linda McCartney sausages would be a better veggie alternative) and no mushrooms with the cooked breakfast. I stay over in London most weeks and have tried out a lot of hotels around Victoria and Kensington but haven’t ventured over the river towards Battersea before. 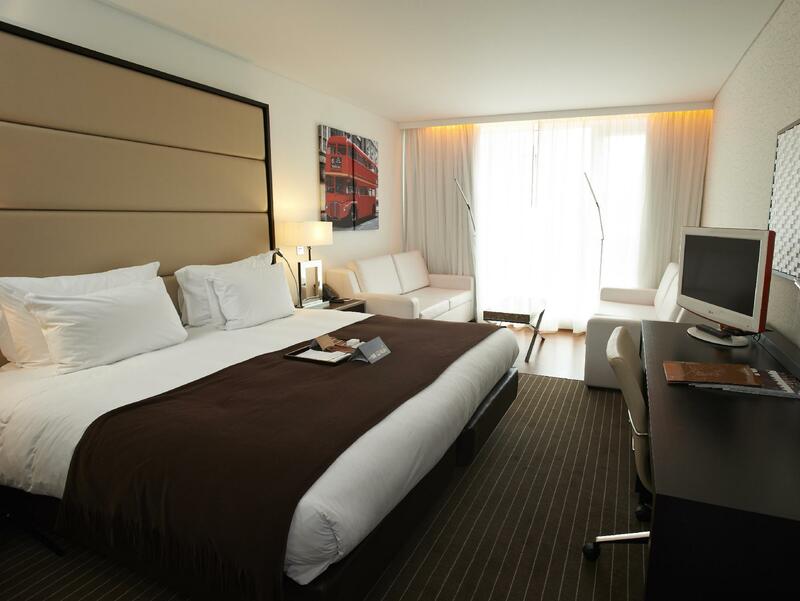 I’ve ckearly been missing out because the Pestana Chelsea Bridge is a really good hotel! Modern,, bright and clean with extremely spacious and comfortable rooms. Honestly the size of the room surprised me, so many London hotel rooms are poky, not this one. My room had a proper sofa to lounge on, a nice touch missing in most hotel rooms. Lastly I must mentioned the bathroom. Very nicely appointed with a separate bath and shower stall. The bath was actually a full size tub, not the midgets only hip bath you fu d in most hotels. Definately tecommended, I will stay again! 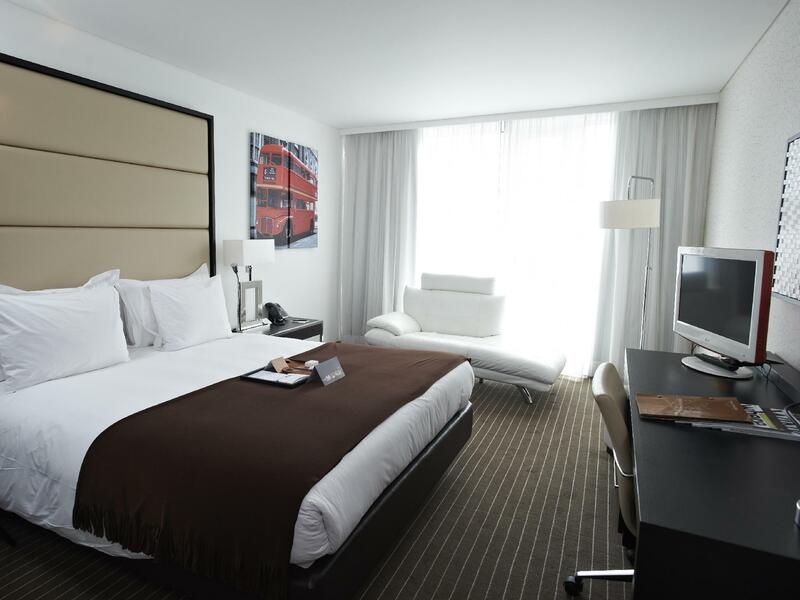 Lovely room and good price for London. Although it is outside the central locations, ecery where is easily accessible by bus. We walked to the West End in 40 minutes which gave us a chance to look around. Complimentary bottled water and yogurt in the room a nice touch. Breakfast choices were good. Staff were friendly and efficient. The hotel was able to store our luggage after we checked out which was great as we couldn’t take them to our visit to Buckingham Palace Gardens for our daughter’s Gold DofE award. A great stay! Great hotel for visiting London. The room was nice and large, very clean, the breakfast buffet was great, highly recommended. The staff was very helpful. Wifi work as it should. Although it is not directly in the city center, it was very easy to get to the main locations by a short buss ride to the closest tube station. The buss runs every few minutes. It was also possible to walk to the tube station in about 15 minutes. An extra bonus is that they have a very nice swimming pool. The only negative is that when using the restaurant they automagically add a 12.5% service charge to the bill. So they decide your tipping.